I've had this chair for quite a while - it's evolved with each house I've been in! It was in my master bedroom in our first house in California and it was apple green, then it went into our cape code style home master bedroom which required some more subtle coloring and more traditional styling so had it reupholstered in a nice traditional paisley fabric. Now, it is in my family room at our house now...we move a lot right?! I've had the fabric pictured below that is white for a while. I found it downtown LA a couple of years ago and have just used it all around the house here and there for welting mostly on slipcovers. 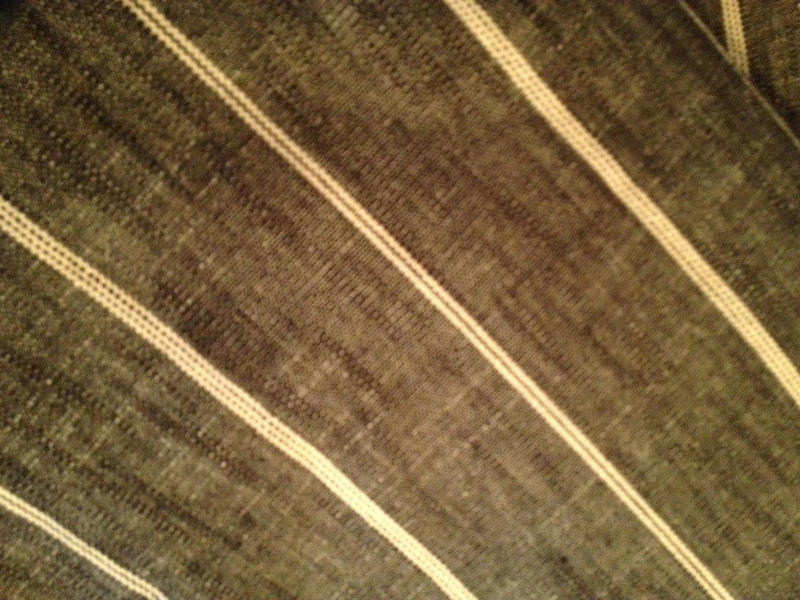 The striped fabric below I found in downtown LA recently - it is a beautiful italian linen fabric that I got for a steal at $9 per yard. When I bought it I wasn't sure what I was going to use it for - I just bought it knowing that I'd use is somewhere in the house! 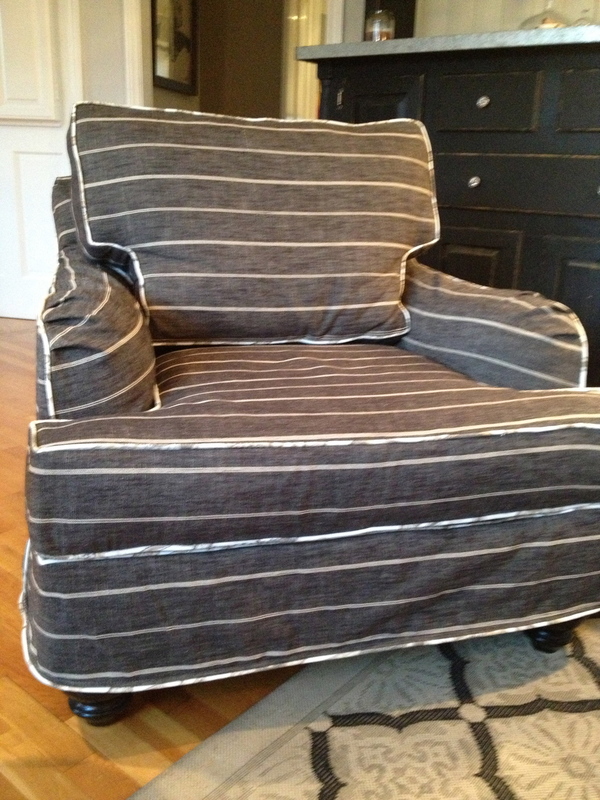 I decided to run the stripe on this fabric horizontally instead of vertically - I think it makes the chair look a little more interesting and modern. If you have fabrics you love - just buy them and use them as projects come up around your house! 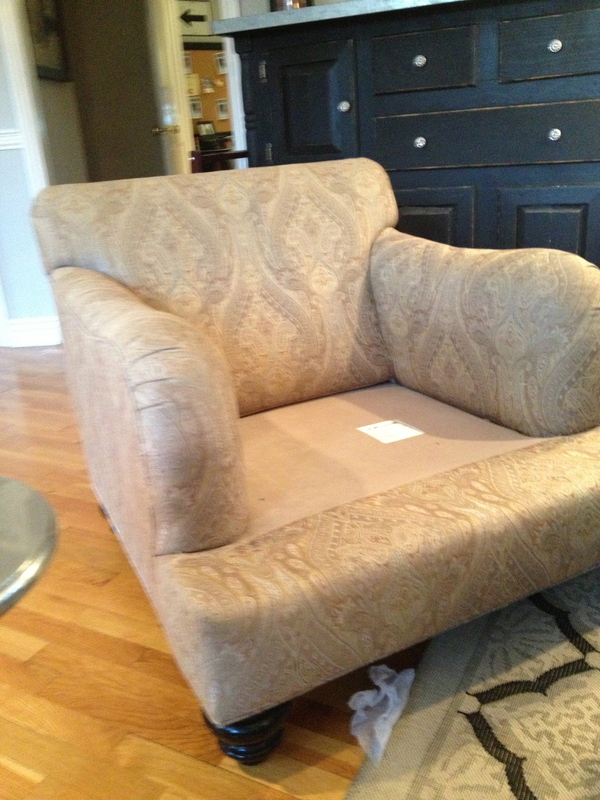 Slipcovers are about half the cost of having something upholstered. A great makeover without a huge investment.